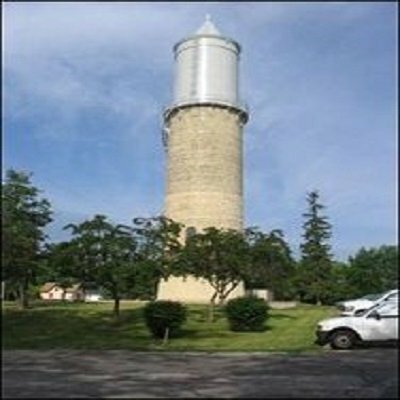 Fort Atkinson, Wisconsin’s first water tower was erected in 1901 and served the community until it was taken out of service in 1988. As the years passed, local residents became concerned with the deteriorating condition of the aging landmark and interest grew in restoring and preserving the historic structure for future generations. 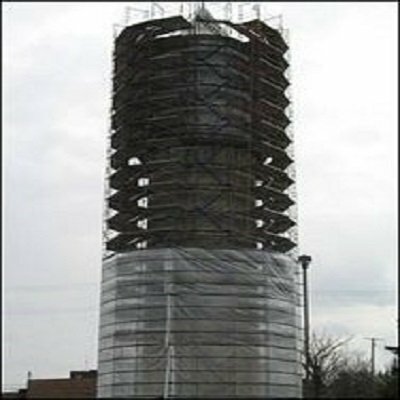 Due to environmental concerns and the water tower’s close proximity to a nearby school, one of the most critical phases of the restoration project involved the removal of lead- based paint from the structure’s 100,000 gallon water storage tank. This paint removal process, along with tank restoration work and the application of the new protective coating, was conducted by TMI Coatings, the general contractor for the project. The project required the services of several specialized contractors and was conducted in several different phases including: site grading, underground electrical work, structural steel work, tuckpointing, sealing the exterior masonry, window and door replacement, tank restoration, lead-based paint removal and application of a new protective coating. Roger Sherman, chairman of The Water Tower Committee, was frequently on site during the restoration. TMI was chosen for this phase of the restoration because TMI is a SSPC QP1 and SSPC QP2 certified contractor operating in the upper Midwest. 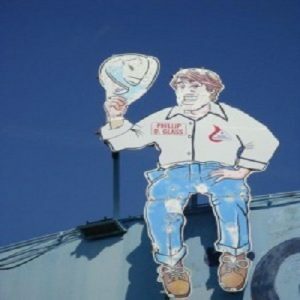 TMI has met the rigorous guidelines set forth by the SSPC (The Society of Protective Coatings) for the safe removal and proper management of hazardous coating material in the field, thus ensuring that all work would be done in accordance with EPA, Wisconsin DNR and OSHA rules and regulations. TMI started the process with extensive steel rehabilitation work. Once the rehabilitation work was finished, TMI erected 115 foot scaffolding and enclosed the water storage tank with sheeting with taped seams in order to safely remove the lead-based coating from the structure. Initially, due to high winds, there was difficulty securing the poly in place. TMI’s crew didn’t begin the hazardous removal until the poly was secured properly. 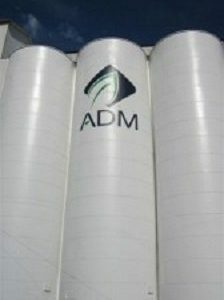 The poly was re-secured using adhesive spray with 6” tape to secure the overlaps. The tank was unable to support a typical containment system, so a self-supporting scaffold was required. This elaborate process ensured the proper containment of hazardous material meeting the requirements of SSPC Guide 6 Class 1A during the paint removal phase, after which TMI was able to safely proceed with the application of the new protective coating material. TMI applied Pretox, to all the exterior surfaces to temporarily overcoat the lead-based paint during surface preparation/lead abatement operations. We then proceeded to sandblast the exterior surfaces, including the spiral staircase per SSPC-SP 6 Commercial Blast, and then primed all surfaces with an epoxy primer. All of the metal surfaces were brushed and rolled, rather than spraying to minimize any overspray risk on the masonry portions of the water tower. An intermediate coat was then applied and then two full top coats of a polyurethane. The stairs were sandblasted and painted on the ground within containment and then reinstalled on the tank exterior. Then some touch up painting was required. 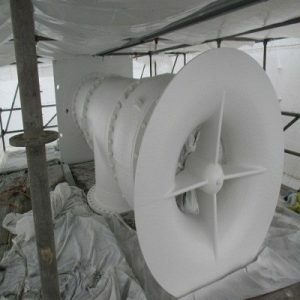 “All the little things that make a project go well were addressed by TMI Coatings. We were very pleased with (TMI) them,” said Roger Sherman. Because of TMI’s high professional standards and strict adherence to SSPC standards and guidelines, TMI was able to play an integral part in helping to restore an important historical landmark, while at the same time ensuring that the community of Fort Atkinson would not be exposed to hazardous materials that could pose a potential risk to its citizens and environment. Now completed, the $450,000 restoration project will ensure the preservation of the historic structure.